Like all of the non-hyena characters in LK, I have no love for her. Personally, I feel Shenzi outshines her in every way possible, to the point that I find it laughable that anyone would give a crap about her after Shenzi. Last edited by EdtheHyena on April 29th, 2014, 6:57 am, edited 1 time in total. Personally, I didn't take that to mean Shenzi was weak, just that Pumbaa was really good. He's not my favorite, but you make him sound like an old fart (uh, no pun intended). And I seriously doubt cub Nala could beat her. "Never trust the future, Never miss the past, If you live for the shining moment, The moment may just last…"
Definately my favourite one. She so adorable, wise and kind. Just perfect in everyway. I admit that though I didn't love her performance, she at least put her heart into it. 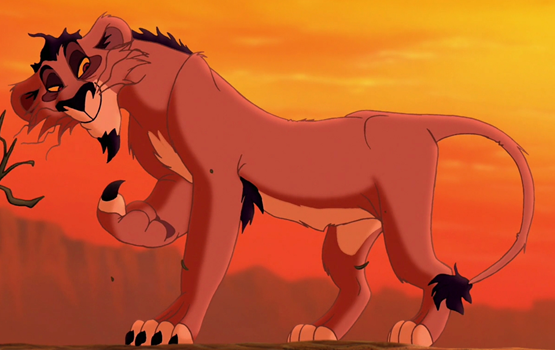 One of the things that kind of bothers me about the first movie is the fact that Nala shows that she is much stronger than Simba combat wise after they meet up again in the jungle, but she still relies on him to defeat Scar. By that logic, Nala should have been able to overthrow Scar and claim the throne. The only reason I can think of why that wouldn't necessarily work is because Simba is the main character and Disney needed a reason for him to go back to Pride Rock. I'll analyze anything, Literally anything! Location: Hunched over my laptop, probably gaming or writing. Could nala have beaten scar? Maybe. Could nala have beaten scar and the hyenas? I doubt that. Most of the lionesses were still loyal, but just barely loyal to scar. Sarabi walking up to scar and giving him an ultimatum at the end of the film probably would have made the lionesses side with sarabi had simba not shown up. Could they have won the battle wothout simba or knowing scar was a murderer? Maybe. Simba returning and all of them learning that scar killed mufasa is what tipped the fight in their favor. Turning their rage into resolve. I thought Pumbaa was super-powerful, lol. Either way, I don't question for a second who would win if they were in a fight.